There has been a trend in commercial agriculture to focus on a small number of plant varieties, and to only grow the varieties that are seen as the most commercially successful, to the detriment of others. The result has been that 75% of the global food biodiversity has become extinct within the last 100 years, and that 90% of the remaining biodiversity is not in use commercially. Added to this is the fact that the focus of the largest seed producers is toward discouraging the saving of seeds, and is instead focused on the repurchase of the same seeds year after year. This reduction in diversity can be harmful in many ways. Fewer varieties mean that in the case of the advent of adverse conditions, whether biological or climate induced, the negative impact on the food supply is felt much greater than if there were more food crops to absorb the impact. In an effort to preserve and expand the biodiversity currently present in southwest Michigan, the South Haven Memorial Library will be hosting a seed lending library beginning April 24. The seed library will contain a collection of non-GMO, organic, heirloom seeds that will be available for “checkout” by the public. There will be a three seed packet limit. The goal will not be to fully stock individual gardens, but instead to introduce home gardeners to a wider variety of produce. Later in the year, the library will be hosting a series of programs covering harvesting seeds from the mature plants. 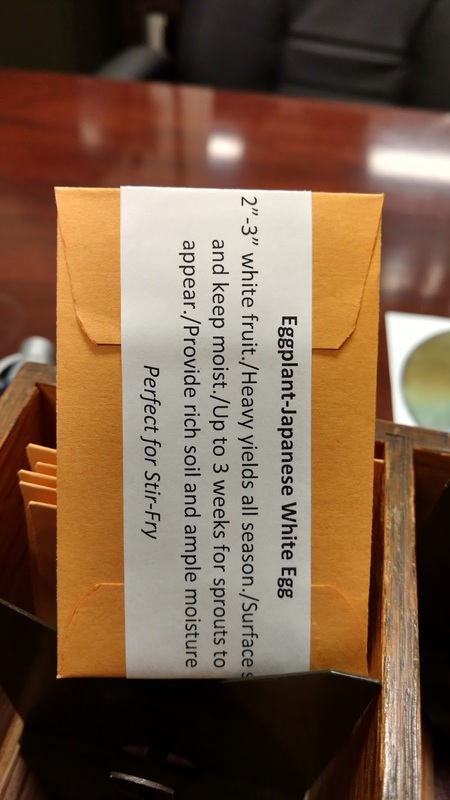 The request will be that a portion of those seeds harvested will be brought back to the library and placed back in the collection for future use, and that the rest will be replanted and used again the following year by the gardener. As this collection grows and evolves, we will be building the biodiversity of the region, as well as a collection of seeds adapted to the region. The core of this collection has been generously donated by: Baker Creek Heirloom Seed Company, Seed Savers Exchange, and High Mowing Seeds. Additional donations of non-GMO, organic, heirloom seeds will be thankfully appreciated. While I can be almost certain that most people have never heard of me, I am in no way responsible for the assertion that I am the coolest among the multitudes of librarians within that unheard of category. Therefore, the recommendation would be that you ignore me, just as Dorothy was to ignore the man behind the curtain, while at the same time hopefully gleaning tidbits of useful knowledge from my convoluted ramblings.